Zotac’s Zbox line of small form factor PCs is well-known for packing an impressive amount of hardware into a small footprint. 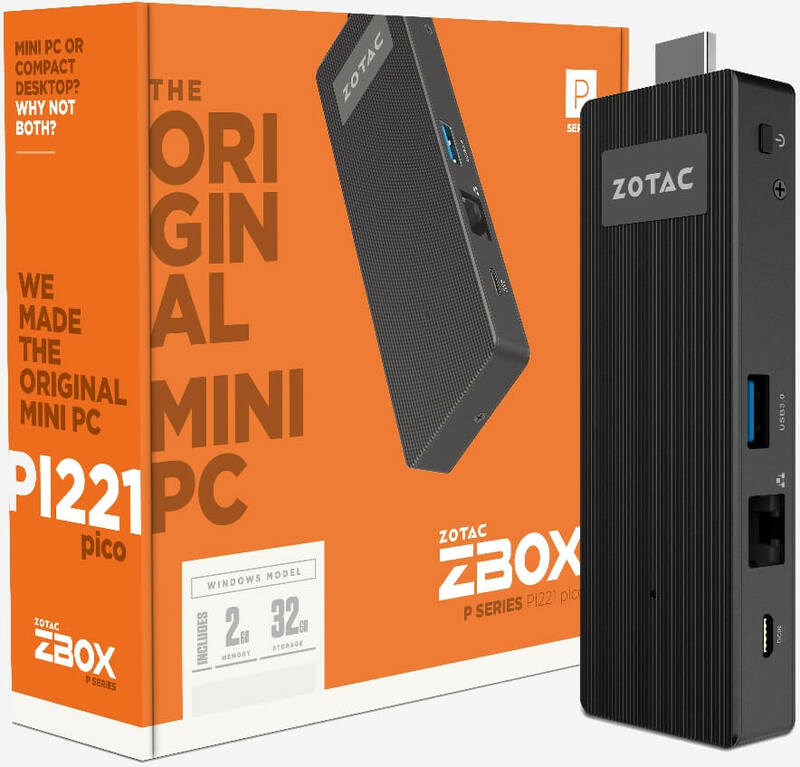 That trend continues today with the formal unveiling of its new stick PCs, the Zotac Zbox PI220 and PI221. Both computers are powered by a quad-core Intel Atom X5-Z8300 processor clocked at 1.44GHz (burst up to 1.84GHz) with Intel HD Graphics alongside 2GB of DDR3 memory and 32GB of eMMC storage (expandable via micro SD/SDHC/SDXC card reader). The tiny PCs feature an HDMI connector, a single USB 3.0 port, a 10/100 Ethernet jack, 802.11ac Wi-Fi and Bluetooth 4.0 connectivity. Buyers also receive a universal power adapter, a recovery disc, an HDMI extension cable and a detachable external antenna. The only discernible difference between the two is how they are cooled. The PI221 is passively cooled as most stick PCs are. The PI220, however, is actively cooled by what Zotac calls a “SmartFan” system. The passively cooled model measures 131.38mm x 42.5mm x 17mm while the model with the fan checks in at 131.5mm x 42.2mm x 15.8mm. Zotac hasn’t yet revealed when its two new stick PCs will go on sale or how much they plan to charge. They’re certainly not the fastest on the block which means pricing will be crucial to their success. If Zotac prices them too high, buyers will simply shop around for either a cheaper alternative or to get more bang for their buck.